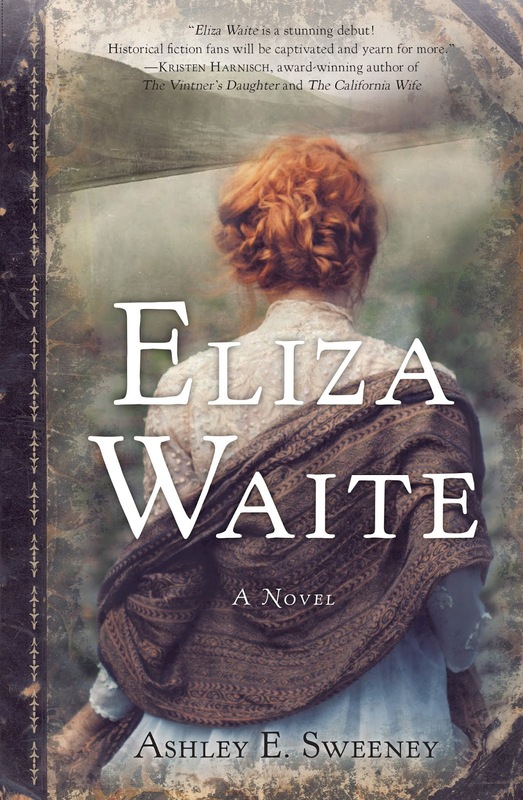 Two years ago this month, Ashley Sweeney released her debut novel, Eliza Waite. The book chronicles the life of a young woman who, having lost her husband and her beloved son in an epidemic, ends up living alone for several years on Cypress Island, in the Puget Sound. Once a month or so, Eliza rows across the Sound to collect supplies. Occasionally, after visiting her son’s grave, she stops to share a cup of tea and the baked goods she brings with one of the island’s few remaining residents. Otherwise, she supports herself entirely on her own emotional and material resources, in a life of hardship and unending toil, until a lucky find gets her a boat ticket to Skagway, Alaska. There she establishes a café and a new, less isolated life. 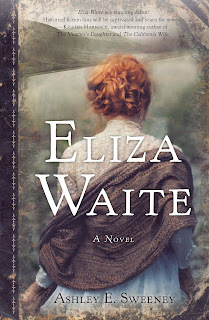 As I noted in my New Books in Historical Fiction interview with Ashley Sweeney and my original follow-up post on this blog (July 22, 2016), food plays an important part in Eliza Waite. Now I love historical research, whether it is for scholarly publications or novels, but the research that went into this novel is particularly tempting, in every sense of that word. Because each one of Eliza’s recipes comes from a newspaper or magazine from the 1890s, and each one underwent extensive testing by Ashley Sweeney and her friends. They had to, because as you’ll see from what follows, recipes and ingredients were approached much more flexibly in the 1890s than in our digital, technological, count time by the seconds age. But what is especially charming about this book is that each recipe has a specific place in the evolving story. For example, on September 1, 1896, Eliza is having second thoughts about enduring a second winter alone on Cypress Island. Although she has just injured her leg quite severely, she takes a long walk to visit her son’s grave—the reason she can’t bear to leave the island—and drops off a cake at the porch of that remaining resident. The recipe follows right away (saleratus is similar to what we call baking soda). This is one of the best of plain cakes, and is very easily made. Take one teacup of strong coffee infusion, one teacup molasses, one teacup sugar, one-half teacup butter, one egg, and one teaspoonful saleratus. Add spice and raisins to suit the taste, and enough flour to make a reasonably thick batter. Bake rather slowly in tin pans lined with buttered paper. Top with cinnamon sugar and serve warm. Three months later, Eliza greets December 31, 1896, with a list of tasks, one of which involves making her mother’s fruitcake, a symbol of home and family. One teacup of butter, two of brown sugar, one of molasses, one of strong coffee, four and one-half of flour; four eggs; two teaspoonfuls of saleratus, two of cinnamon, two of cloves, two of mace; one pound of raisins, one pound of currants, one-quarter pound of citron. Be careful to cut paper for each loaf pan before putting in the mixture. Bake in layers and put together with icing. Leave out the currants if you like. By September 29, 1898, Eliza has made it to Alaska and established her own café in Skagway, where she has become renowned for her cinnamon buns and other baked goods—instructions for which are all supplied in the text. As she goes out to run errands, she encounters a stand of wild rhubarb. Mix together one-half teacup lard, one egg, two teaspoonfuls vanilla, one teacup buttermilk, and two teacups diced rhubarb. Set aside. In second bowl, mix two and one-half teacups flour, one-half teacup brown sugar, two teaspoons saleratus, pinch of salt and one-half teacup shelled walnuts, if you choose. Fold mixtures together and spoon into greased muffin cups. Bake until toothpick comes clean. And so it goes, one landmark-signifying recipe after another, from Ida’s Coffee Cake to the Pecan Tarts that close out the recipes on November 29, 1898. The story continues up to the epilogue in March 1900, but the bulk of Eliza’s transformation has already taken place, and only the resolution remains. Note, too, that the creative use of baked goods doesn’t begin to capture the many pleasures of this wonderful novel. Its greatest asset is Eliza herself, a woman who keeps stubbornly moving forward, no matter what life throws in her path. As she does, she encounters a group of complex and believable characters who intersect in at times unexpected ways. Even the geographical locations acquire distinct natures of their own, forcing Eliza to adapt to their idiosyncrasies. It’s no wonder this book has won numerous awards. You can find out more about the author and her book at her website, or you can go straight to Amazon for the paperback or e-book. But either way, don’t forget to set aside some time to test out the recipes. It would be a shame to let all that lovely research go to waste.